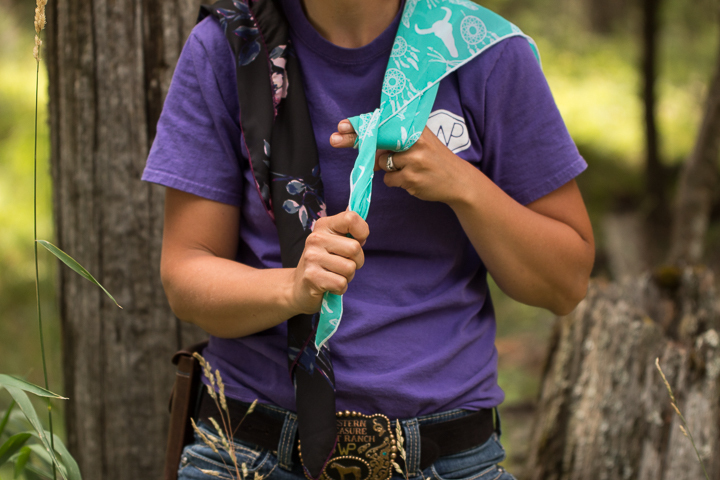 A wild rag is a western scarf worn around the neck by cowboys and cowgirls alike. 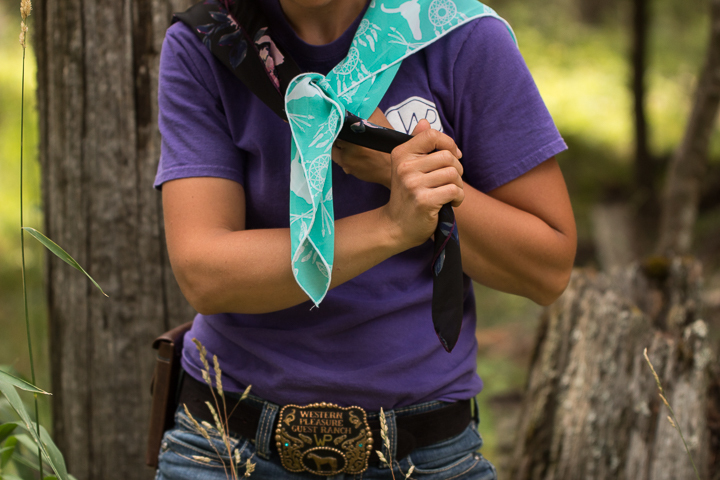 The historic function of this scarf worn by cowboys was for protection from the elements. In the cold and wind, it protects and helps to keep warm. 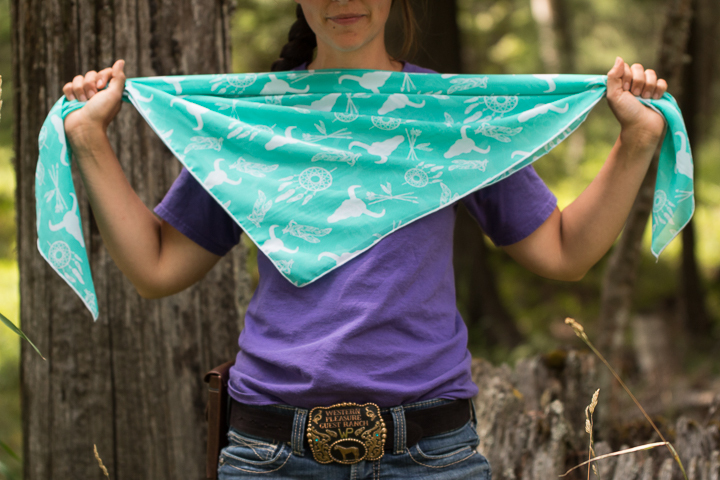 In the sun and heat, it keeps the sun off a cowboy or cowgirl’s neck and can be wetted to help keep cool. 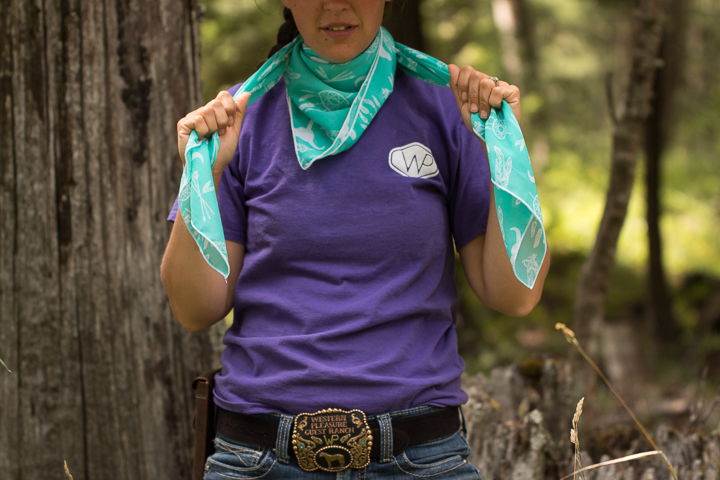 Today, the wild rag is both functional and fashionable in the western world. 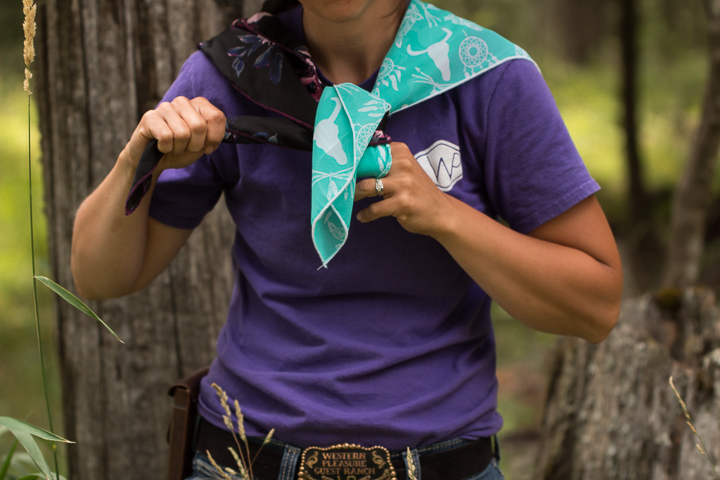 There is more than one way to wear a wild rag but a popular favorite is to tie it with a Buckaroo Knot, also known as a Four Square Knot. 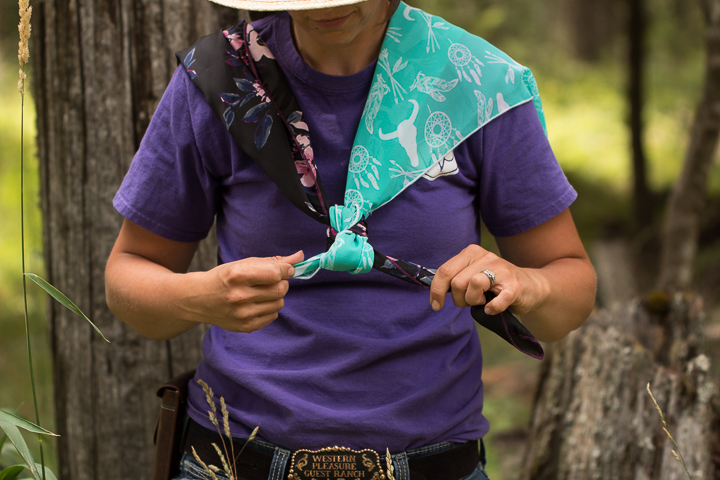 Watch the “how-to” video then follow the step-by-step guide below to learn how to tie a Buckaroo Knot. 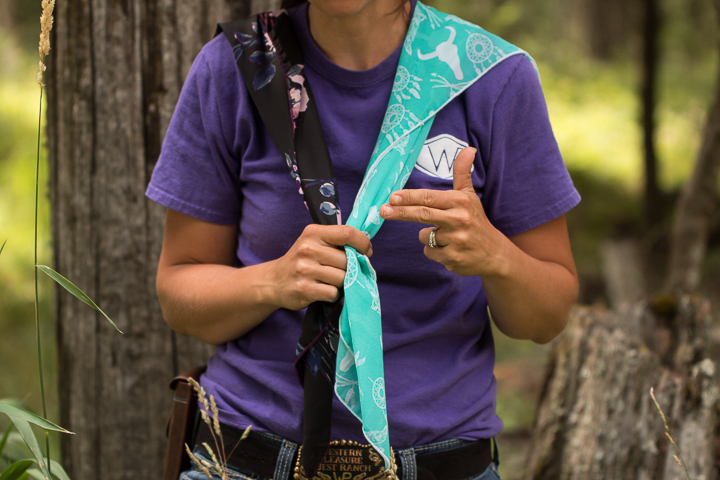 Step One: Fold the Wild Rag in half diagonally to create a triangle then drape it around your shoulders with the tails in front. Step Two: Make a “pistol” with your left hand. 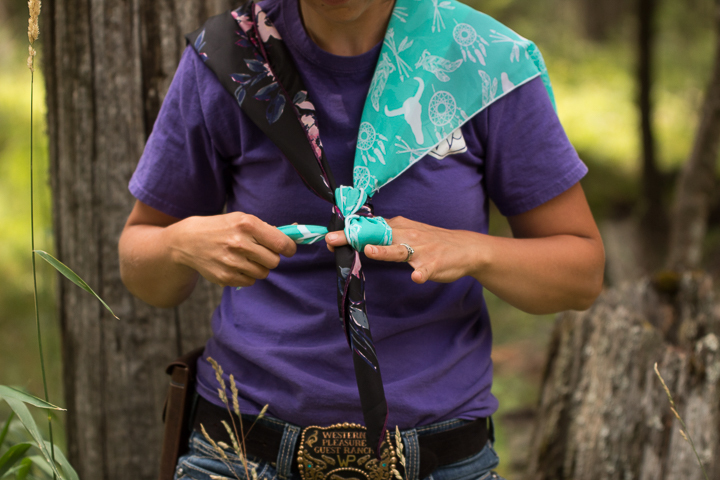 Step Three: Wrap the left tail of the wild rag in front of the “barrel” twice so that the tail is coming out the front, and lock it down with your thumb. Step Four: Take the right tail under the left tail but over the gun barrel, and flip it up over your left forearm. 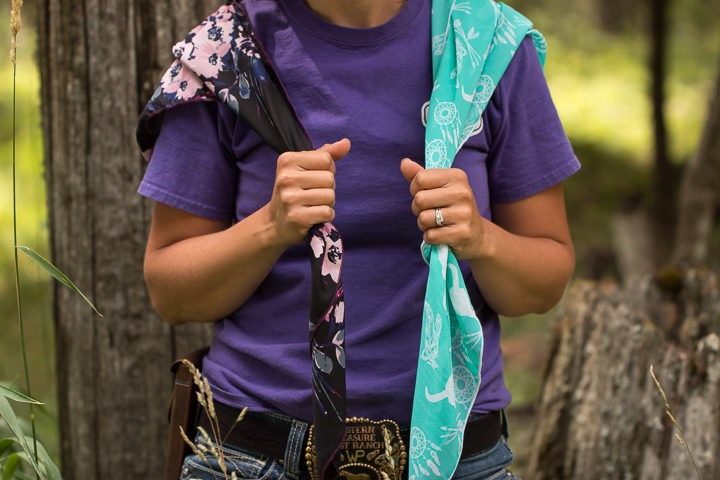 Be sure to keep the fabric in between the barrel of your fingers and the left tail. Step Five: Reach for the right tail with your right hand and pull it to the right behind the gun and original tails. Step Six: Place the right tail over the left tail and pinch it with the barrel fingers. Step Seven: Pull the right tail through the loop surrounding the barrel and tighten. Step Eight: Adjust the knot by pulling on both tails. Be sure that the knot is even on all four sides creating a four-sided square-like knot. 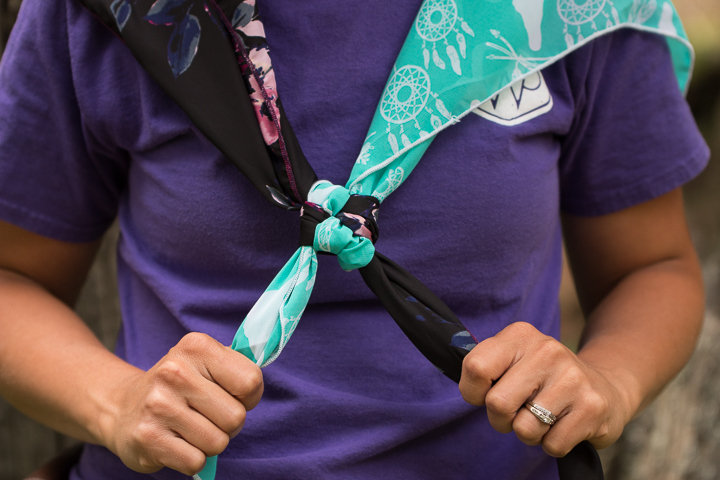 Variation: You can also start this by placing the “v” of the triangle on your chest and wrapping the tails around behind your neck and back to the front again. 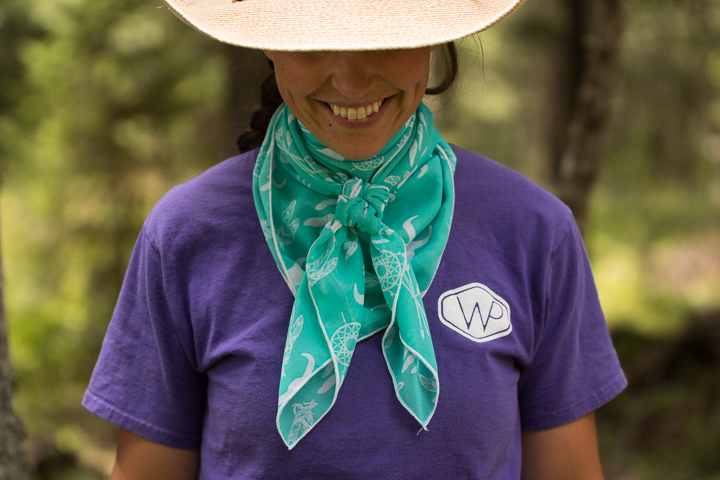 This is best in cold weather as it helps to keep your neck warm and protected from the wind.